On April 22, 2010, the drill platform Deepwater Horizon sank in nearly 1,200 m of water in the northern Gulf of Mexico. Since this date various estimates of oil and added chemical dispersants have been released from the site with dispersion both at the surface and at depth. The transport of this oil and dispersants has been influenced by wind-driven currents over the shelf and by the Loop Current and its derivatives offshore. To date the exact amount and paths of movement of the Horizon spill remain speculative. Since 2003, with NOAA-CSCOR funding our team has conducted 5 summer cruises in the northern Gulf of Mexico that used high-resolution sampling to define the spatially-explicit relationships between physical structure to pelagic zooplankton and fish distributions. In short, we have one of the most comprehensive, synoptic data sets on temperature, salinity, oxygen, phytoplankton, zooplankton and fish in the northern Gulf of Mexico. W achieved high spatial resolution via a towed undulating vehicle, the Scanfish, and acoustic sampling of fish distributions. 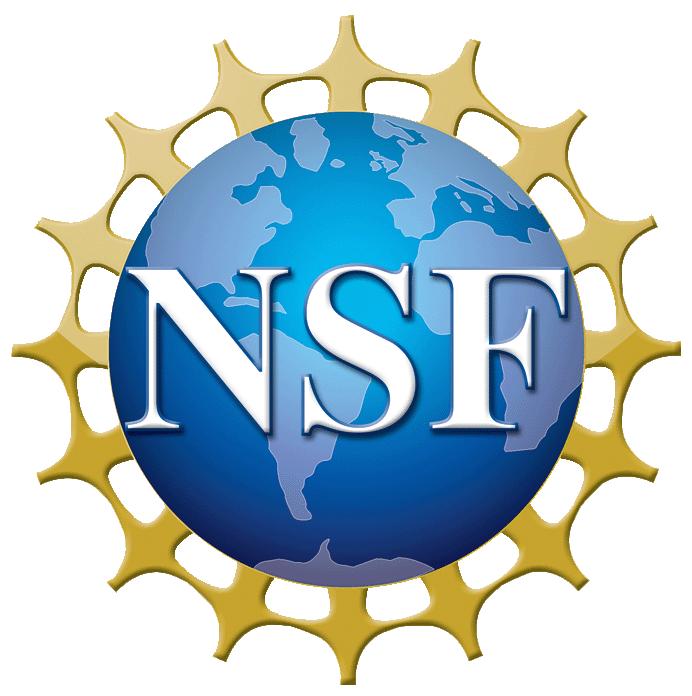 Our synthetic products include biomass size spectrum models which have been used to assess anthropogenic effects on planktonic and fish food-webs; the species composition of phytoplankton, microzooplankton, mesozooplankton and fish; fish diet data; fish growth potential models to quantitatively assess fish habitat requirements based on food availability and physical conditions. Thus we have an extremely valuable dataset to compare the possible effects of the BP oil spill on the pelagic ecosystem of the northern Gulf of Mexico. We propose a 7-day cruise designed to repeat our high-resolution mapping of hydrography, oxygen, plankton and fish in the northern Gulf of Mexico. Our domain of interest will include our previous survey region in the “hypoxic zone” west of the Mississippi Delta but also the area east of the Mississippi where more oil transport from the spill has been suggested. We propose a cruise in the late summer period because we have 5 years of “baseline” data during this season to compare the results. 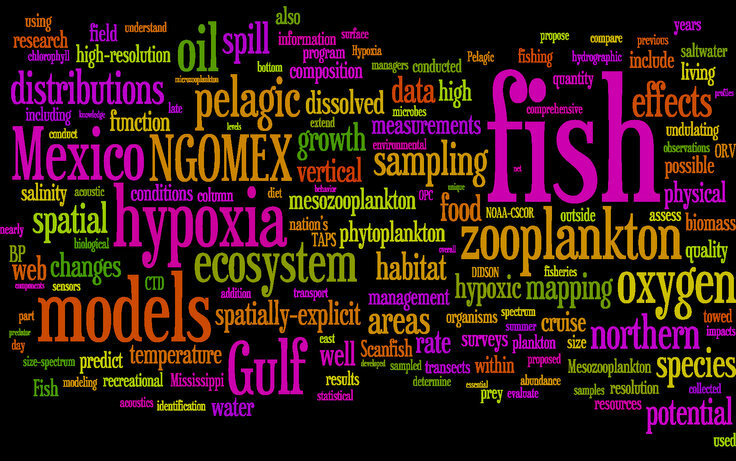 Our “metrics” of species diversity and abundance, biomass size spectrum, fish diets, fish growth rate potential and ecosystem models will all be extremely useful to assess the possible effects of the oil spill on the living resources of the northern Gulf of Mexico. In addition to our rapid mapping cruise on the inner to mid-shelf, we also will send scientists on the ORV Oceanus to conduct high resolution vertical zooplankton measurements (LOPC and TAPS) and MOCNESS zooplankton tows at deeper stations and broader mapping surveys to extend our spatial coverage of the affected area. We will coordinate our zooplankton and fish measurements with other investigators assessing the biogeochemical and biological impacts of the BP oil spill. In addition, we will put our previous NOAA cruise data on the BCODMO data management facility as well as our proposed measurements and model products.